This is great, always wanted something like this. Thanks! Is it possible to increase the "Zoom In - Function" a bit, so that you can better distinguish between symbols superimposed in Devils Crossing (for example)? Is it possible to add a function to select/deselect all markers at the same time, so that you can call individual ones? Is it possible as with Maphack, entrances that include shrines, especially to mark? Last edited by tean101; 07-08-2018 at 06:39 PM. Hi dammit. 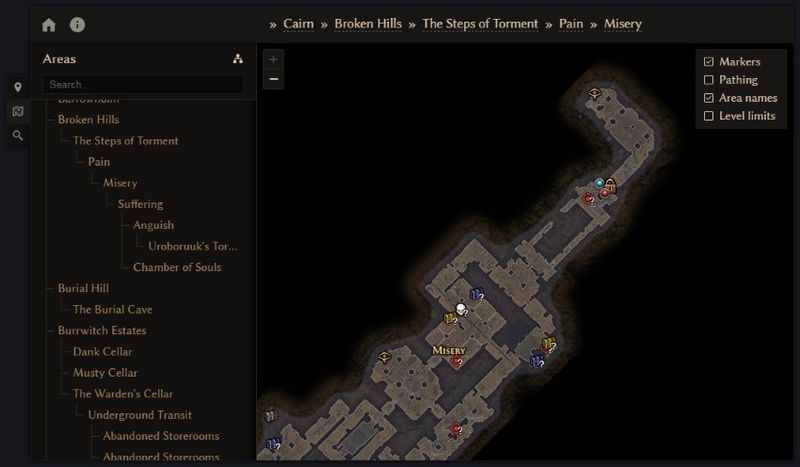 Is there any chance that you will add lore scroll locations in your map? That is the only reason I still use maphack over your map nowadays. Uh, they were added last summer.